Mumbai : Doctors at Fortis Hospital in Mulund performed a life-saving heart transplant on a 21 yr old college student from Mumbai. The 44th heart transplant in the state became possible when a 56 yr old female patient from Panvel was declared brain dead at MGM Hospital in Vashi. The harvested heart was transported through a Green Corridor, covering a distance of 20 Kms in 23 mins, between MGM Hospital in Vashi and Fortis Hospital in Mulund. The recipient was on Extra corporeal Membrane Oxygenation (ECMO) support which provided cardiac and respiratory support. He was suffering from Dilated Cardiomyopathy and was put on super emergency waitlist as his condition became critical a week ago. 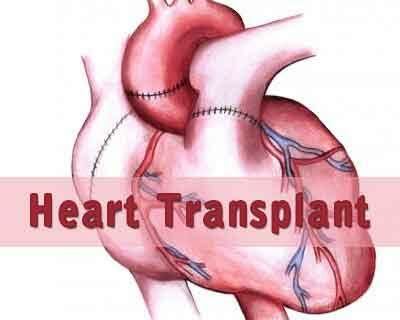 The donor heart became available for transplant when the family of the donor consented to donate her organs; i.e. Heart, Kidneys, and Liver following informed counselling. The female donor had suffered a brain hemorrhage after she collapsed on the road. With the active cooperation of Zonal Transplant Coordination Centre (ZTCC), harvesting of Heart, Kidneys and Liver became possible. Cardiac Transplant Team from Fortis Hospital, Mulund, retrieved the heart from the donor. The Police and Traffic authorities laid out the Green Corridor for immediate transfer of the harvested organ. The heart left in an ambulance from MGM Hospital, Vashi at 07.21 PM following the pre-decided route from Thane, Belapur Road and Airoli Junction to reach at Fortis Hospital, Mulund at 07.44 PM.